Get a quick no obligation quote It’s free and will only take a jiffy! When to Prune my Bay Laurel Tree? Bay laurel is a popular hedging and topiary shrub, but when to prune it for best results? What pests and diseases should you look out for during bay laurel tree pruning, and how best to care for your bay laurel tree? The bay laurel or bay tree (Laurus nobilis) is a very popular hedging and topiary shrub. Its eye-catching, aromatic glossy leaves stay green all year round, offering uninterrupted privacy, and a haven for birds. The bay laurel tree originated in the Mediterranean region and its leaves are well known in culinary circles, dried and much used in stews, casseroles and pasta dishes. Many people choose to clip their bay laurel tree into attractive shapes and it certainly lends itself to such pruning. Why prune a bay laurel tree? Bay laurel pruning is usually carried out with the aim of maintaining shape and style, although this is generally only when the tree is planted as a topiary shrub or hedge. If your bay laurel is growing in a container, it will thrive on regular pruning. Otherwise, where bay laurel is left to grow naturally as a tree, it will not require much pruning at all. The only thing you will need to do is remove deadwood on a regular basis, and a little pruning to remove any damaged or weak shoots or any that are rubbing together will go a long way to helping the tree stay in good health. You can also carefully clip away any dead or damaged leaves down to a healthy bud facing the direction in which you’d like the new stem to grow. Stick to late spring through to early summer for this. Hard pruning of bay laurel trees may result in a long recovery period, sometimes up to two or three years to get back into shape, so bear this in mind when pruning your bay tree. When is the best time for bay laurel tree pruning? If you have a bay laurel tree that has outgrown its space or has become unkempt, providing it is well established, go for late spring pruning. You can take a bay laurel down to ground level in spring and will soon see it quickly sprout back with healthy new shoots, which is fine should you be looking to grow your bay tree into a bushy shape. However, if you are looking to grow your bay tree in a lollipop shape or some other formal topiary design, or you have a bay laurel hedge that you wish to keep nice and neat, then these shoots will not be desirable, so you’ll need to prune them off. Stick to late summer, i.e. August, for this type of pruning. Large bay laurel trees that are well established are always best pruned in late spring and during a dry spell. 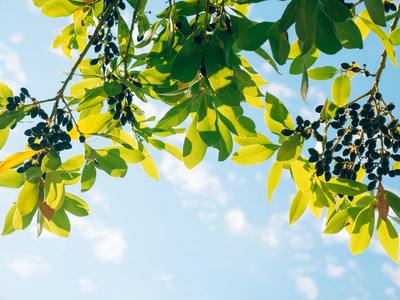 If you are looking to reduce the size of your bay tree without spoiling its shape altogether, remove only a maximum of 25 per cent of the tree in the first year. Drop down a bit in the second year and then in the third year, stick to just a tidy-up. Follow that up with regular annual pruning in early spring and it should maintain itself at that size you are happy with. When pruning your bay laurel tree, be sure to look out for leaf spots. These are due to waterlogged roots, or it could simply be down to long spells of wet weather. If your bay tree is growing in a container, try to renew the compost regularly. This will help to avoid waterlogging, and of course, always ensure your container is well drained. Yellow leaves can be an indicator of nutrient deficiency. Again this could be down to waterlogging, but it could also be caused by cold weather. You may also see bark peeling, another symptom of cold winter weather. However, do not let this alarm you; simply prune any dead parts back to green, healthy wood. Also look out for pests such as the bay sucker and scale insects. The bay sucker causes leaves to develop abnormally thick, pale yellow curled leaf margins and you may see greyish white insects underneath them. Eventually the leaves dry up and turn brown. Scale insects will show themselves as scales on the stems and leaves and as sooty moulds on foliage. 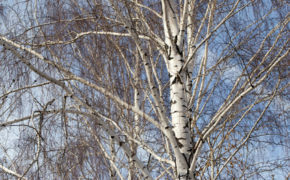 Never proceed with any tree work without first checking whether a Tree Preservation Order (TPO) is in place. If there is then you will have to apply to the local authority for permission to proceed with the work. This will normally take up to eight weeks to be granted. In addition, if the tree is situated in a conservation area, you will require official permission before going ahead with works of any kind. Most people are keen to ensure their bay laurel tree, shrub or hedge is well looked after, healthy and carefully pruned. If you have any doubts at all about how to make sure this goes for your bay tree, it’s best to call in the professionals. Tree surgeons are qualified experts who are aware of precisely how and when to prune bay laurel trees. They are also trained in spotting and dealing with the common diseases and pests that affect them. When selecting a tree surgeon, ask to see checkable references and certificates so you can be sure they actually have the qualifications and knowledge they say they have. It’s also a good idea to request sight of their insurance documents for complete peace of mind that you are covered for the work being undertaken. Finally, where possible, choose a tree surgeon with Trading Standards and local authority approval for a guarantee of quality and value. If you have a bay tree, bay laurel hedge or bay topiary shrub that needs pruning, why not talk to the experts at T.H. Tree Services? As fully qualified, locally respected and extensively experienced Trading Standards and local authority approved tree surgeons, we are able to provide specialist knowledge across all aspects of bay laurel tree pruning. For a free, no-obligation quotation, contact our helpful experts on 01268 642814 or get in touch here. The team were punctual, very polite, kept me well informed of what they were doing, anything I asked them wasn’t an inconvenience. Service with a smile and the tidy up job was fantastic too. I would certainly recommend TH Tree services and happily use them again. Hi Mrs Easton, thank you for leaving a lovely review. The team are really pleased they come across professional and friendly. 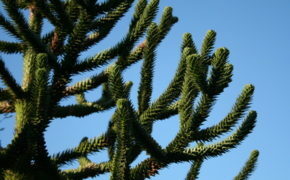 When is the best time for Monkey Puzzle Tree Pruning?